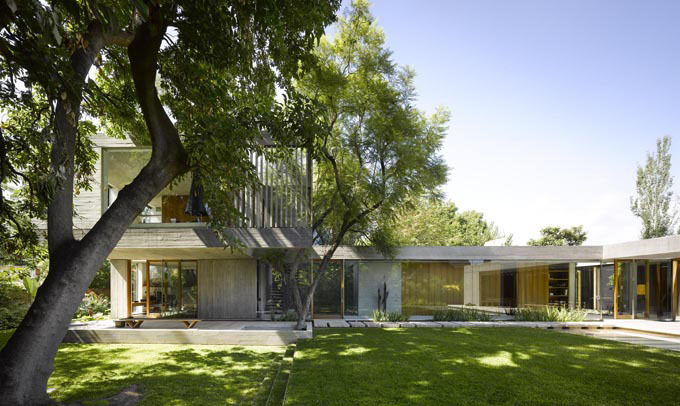 The “L House” in Buenos Aires, Argentina designed by architects Mathias Klotz and Egdar Minond is a modernist concrete house that is simple yet timeless. The indoor living space connects with the outside with the use of wood, glass, steel, concrete and limestone. Everything comes together with understated modernist elegance.